I have an video problem with a 26 inch Haeir HL26R LCD TV. It was being used for regular t.v. viewing. It has a VGA connection so I decided to make this my new computer monitor. About a week ago, I connected the PC to the TV using the VGA cable I use for my monitor. I turned on the PC and TV. Changed input on the TV to VGA. It worked fine. Played a video game, watched a few shows/movie. I can't remember how it stopped working but now when I connect the PC to the TV via VGA, it will show the Windows start up screen and then it loses the video and the screen says "NOT SUPPORT". I tried changing all the different display settings but changing it back and forth from the TV to the monitor. At times, the TV somehow "locks up" while connected to the PC(with no video) and it prevents it from turning off. I can't turn it off unless I remove the VGA cable. I've tried everything that I can think of. I can't find any solution for this problem! This may be a computer hardware /software issue and nothing to do with the TV. Please provide information about your computer, this includes is it a notebook or desktop, is it a custom build or brand name such as Dell or HP, if it is provide the model name or series number (not serial) providing these details will enable others to better assist you. I note that your MB has an integrated video chip which relies on system memory to function, how much Ram do you have and do you have another smaller screen that you can try as the integrated video chip may be struggling with a 26" screen. I am currently using a Compaq Q1859 19" Widescreen LCD monitor. It's at the highest resolution which is 1366X768 using Nvidia control panel. I may be upgrading to a new graphics card. One with HDMI, VGA, DVI. Not sure which one yet. Would that help my problem?? Any problems while using the 19" screen and is the 26" TV working correctly while in normal use. 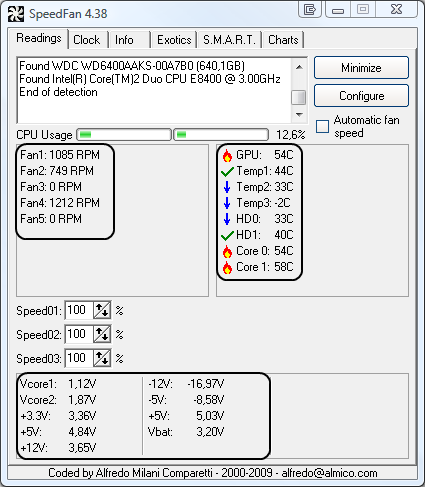 Can you run a W7 memory test please and let us know the results http://windows.micro...n-your-computer this does not take as long as memtest and is why it is suggested. Too early to say just yet whether an add on card would solve the problem but it should be considered in any event as it will give you better all round performance. Is the present PSU (power supply unit) powerful enough or will it also need upgrading. What type of case do you have, full tower, mid tower or SFF (small form factor) this is important as you must make sure that there is enough room inside the case for the upgrade/s, upgrading a SFF type system can be difficult as they often use propriety components such as smaller and differing shape PSUs and they only have enough room inside the case for a low profile type add on card. There are no problems using the 19" and the 26" works fine. Right now it is being used with a Roku.